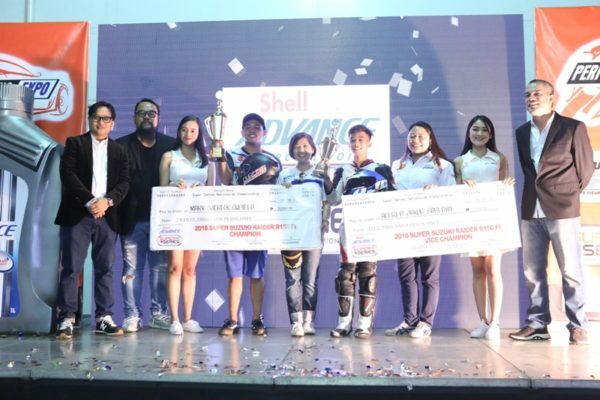 The heat of the sun further heightened the already intense atmosphere of the Super Series Nationwide Championships finale held at the Megatent Parking Lot aptly called as the Manila GP. Both teams were vying for the overall championship title. The final leg however defined everything, sealing the 6-leg race series to a close with the Raider R150 as the Champion. 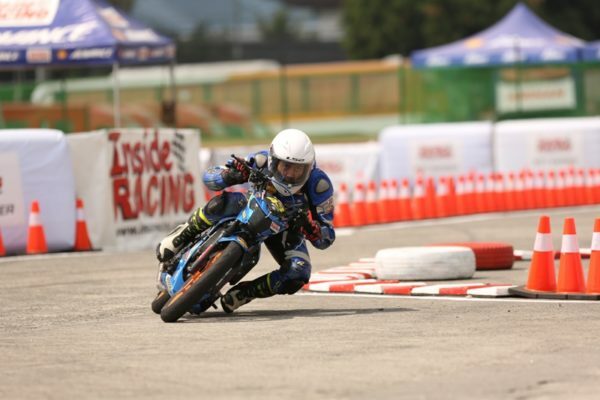 Determined and focused to get to the top, April King Mascardo started strong at the qualifying landing him on pole position with a best lap time of 17.865s. 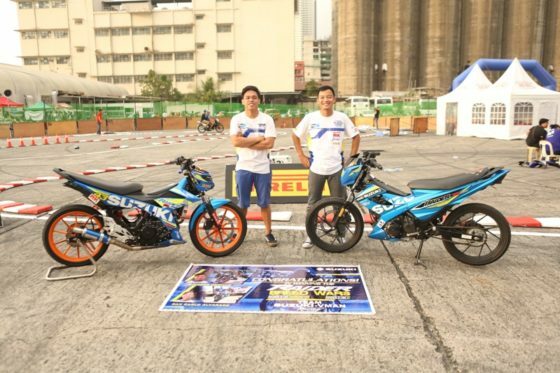 Trailing behind him were Masato Fernando and JE Inguito (who was also vying for the championship title), Ephraim Onahon and Durraine Dan Carlos – all from the rival team. 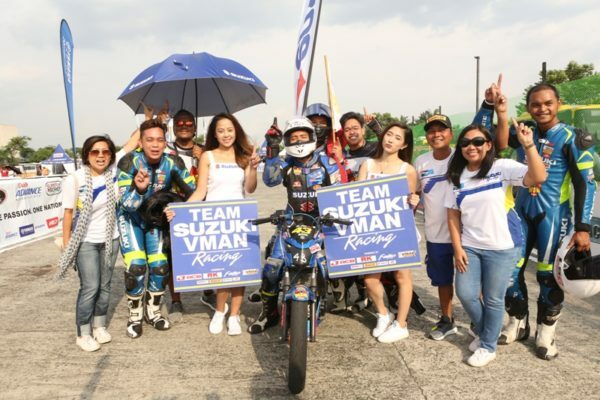 With this starting position, the rest of the Suzuki-VMan Racing Team – Eane Jaye Sobretodo, Jaypee Obedencio and Josh Tan got ready for an intense race with all their guards up to defend Mascardo while performing well to beat their individual best times. 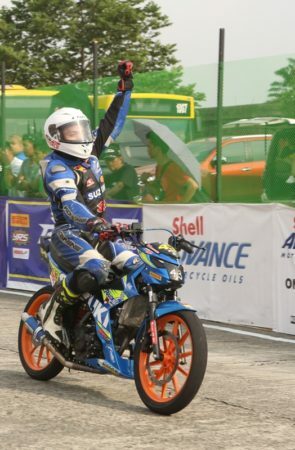 On to the race, the beginning of the 15-lap competition already saw a jump start from Dan Carlos coming from grid 5 cutting off and blocking Mascardo. Keeping his focus, the encounter did not stall Mascardo as he swiftly recovered catching the lead pack at the first corner securing 2nd position following JE Inguito who was then leading the race. An error on the 2nd lap however made Inguito crash as Mascardo was about to catch him giving a sweet advantage to the Suzuki rider who kept on pushing to maintain his lead up to the final lap. 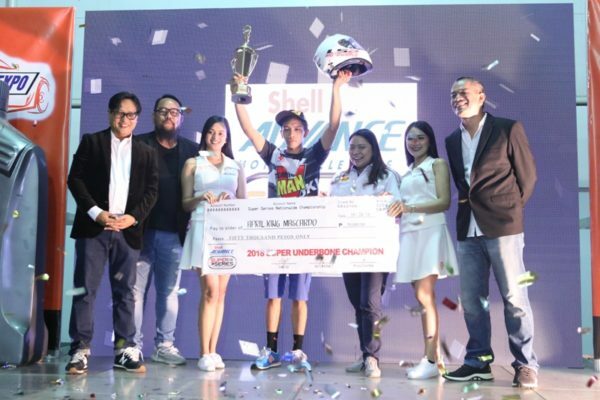 The race concluded with April on the top followed by Masato and JE on 2nd and 3rd spot respectively, claiming his title as the Super Underbone Champion this season with the still undisputed Underbone King – the Suzuki Raider R150. This is Suzuki’s return on the racetrack after half a decade pause and what a comeback! 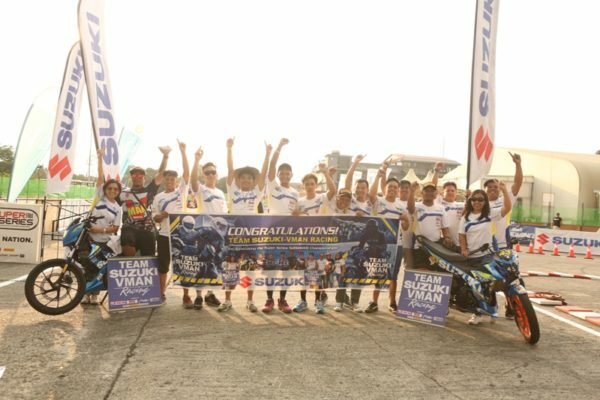 Suzuki focused in training riders internationally for the past years and now with Suzuki Asian Challenge graduates April King Mascardo and Eane Jaye Sobretodo bringing their learning to the local racing scene with a clean and powerful performance, the team won with a sweet finish.